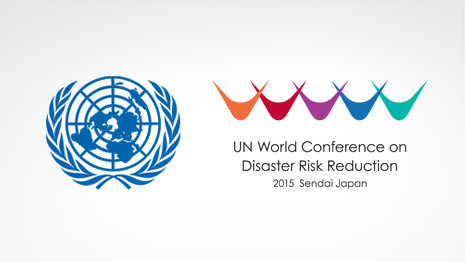 In 2015, the Third UN World Conference on Disaster Risk Reduction took place in Sendai, Japan. and most Americans have never even heard of it! The Sendai Framework strives to “substantially reduce disaster risk and losses in lives, livelihoods, and health and in the economic, physical, social, cultural, and environmental assets of persons, businesses, communities and countries” . The framework’s scope broadens to include man-made disasters and environmental, technological, and biological hazards. It’s also inclusive of health implications and diverse sectors affected by disasters, drawing clear references to health, development, and climate change . An understanding of disaster risk includes all dimensions of vulnerability, exposure, characteristics of disaster hazards, and the environment. 2. Strengthen disaster risk governance to manage disaster risk. Disaster risk reduction strategies should be present in diverse sectors and policies. This coordination requires stronger governance at local, national, regional, and global levels to ensure that disaster risk is integrated in public policies and regulations. 3. Invest in disaster risk reduction for resilience. Resilience is an investment, not a cost. Resilient people and communities are drivers of innovation and growth. The absence of investment in resilience building initiatives worsens the consequences of disasters, undermining social and economic development. 4. Enhance disaster preparedness for effective response, and to Build Back Better in recovery, rehabilitation, and reconstruction. Strengthening disaster preparedness supports stronger recovery, rehabilitation, and reconstruction of communities after a disaster. These phases are optimal environments to integrate Build Back Better approaches in disaster risk reduction policies. • The Sendai Framework is limited in offering financial support or resources for developing countries. Developing countries are disproportionately affected during disasters since they are more vulnerable and have minimal means to carry out disaster risk reduction strategies. • The framework does little in addressing nations affected by human conflict. Conflict-affected nations experience heightened disaster risk – displaced populations are more exposed to hazards and face increased vulnerability . These intersections of human conflict and disaster risk are neglected in the Sendai Framework. • Although the connections between disaster risk reduction and sustainable development are recognized, the Sendai Framework lacks coherence with the United Nations Sustainable Development Goals. The Sendai Framework could strengthen its posture in global community by developing explicit policy connections to the Sustainable Development Goals. The Sendai Framework isn’t perfect, but it does make significant strides in providing an improved global instrument for addressing disaster risk. It takes a posture that disaster risk reduction should not be insulated from cross-cutting discussions in sustainable development and climate change . Time will reveal whether the Sendai Framework proves to be a pivotal force in global discourses. 1. UNISDR, Chart of the Sendai Framework for Disaster Risk Reduction 2015-2030. 2015. 3. Kirbyshire, A. OPINION: What next for the Sendai Framework for Disaster Risk Reduction? Perspectives from South Asia. 2015; Available from: https://cdkn.org/2015/04/what-next-for-the-sendai-framework-for-disaster-risk-reduction-south-asia/?loclang=en_gb. 4. Harris, K., D. Keen, and T. Mitchell, When disasters and conflicts collde: Improving links between disaster resilience and conflict prevention. 2013. 5. Mysiak, J., et al., Brief communication: Sendai framework for disaster risk reduction – success or warning sign for Paris? Nat. Hazards Earth Syst. Sci., 2016. 16(10): p. 2189-2193. Thanks for your comments Mark, as you mentioned, it is a shame that the Sendai Framework lacks coherence with the United Nations Sustainable Development Goals. It would seem prudent to incorporate recent UN/global frameworks and ensure consistency and continuity of important concepts when creating ‘frameworks’. I’m surprised that it wasn’t better integrated.